So as much as I want to screen a video of the alpine roads that followed the Stelvio climb, I am actually “through” the other side of something completely different. A month free hiatus from sugar, coffee, alcohol and social media! So what have I learned/gained? Well it’s more about what I’ve lost in some ways - 5kgs and counting so far. With my fruit, vegetable and protein diet, I feel much more alert, the weight is coming off and supermarket shopping is so easy now. Just stick to the outside walls and you’re done! Will I still drink alcohol and coffee? Yes of course. But only for meaningful events. No more latte’s in takeaway cups or an afternoon beverage in the sun. If going out with my girl or to meet up with friends, then sure a coffee or a beer is fine. In moderation of course. So do I recommend trying this yourself? OMG YES!!! It’s great to get another perspective, a clean well functioning body and a heap more loose change in your pocket. And since we figure there is no point stopping a good thing, @jadeshearstone and I have decided to make October a month of fitness. Nothing but burpees, situps, pushups and squats. Perhaps I should take before & after photos! 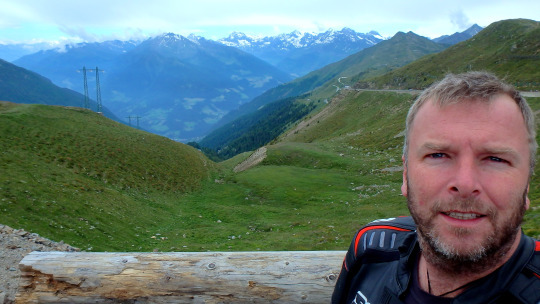 And for those who got to the end, here’s me on the side of an alp somewhere in Austria. I promise you’ll see Nürburgring track footage soon.